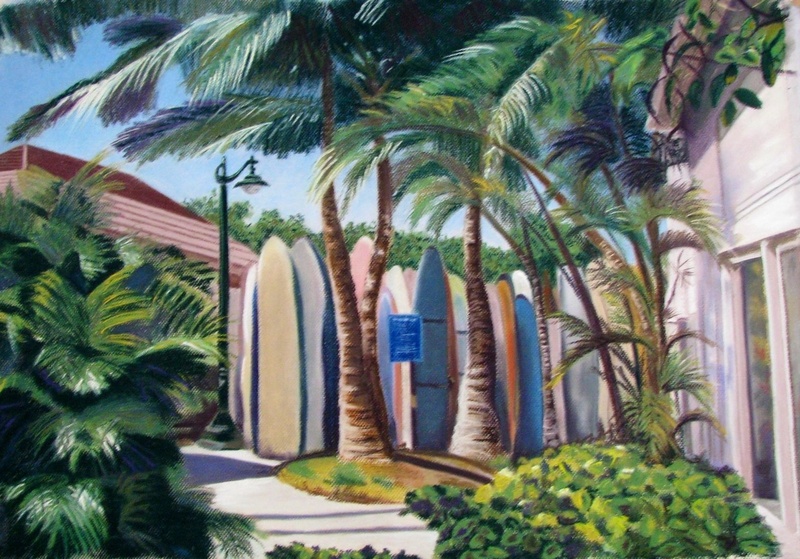 I have started a mural of my past Hawaii travels near the pool area at home. Will keep you posted to see how I manage this as I have never muralled before and have quickly realized that outside painting during our Australian summer needs to happen early morning or late in the day. Today we have 40 degrees celcius for New Years Eve. Prayers to all the bushfire stricken areas today and the firey’s. Holidays in Hawaii evoked many memories. Strolling in Waikiki with endless rows of surfboards lined up waiting to hit the waves. This is another Woody car that I did as a commission. I had fun working this into a sunset beach scene. If you look closely you may spot the (weed sticker) I painted in on the bumper, goes with the theme. 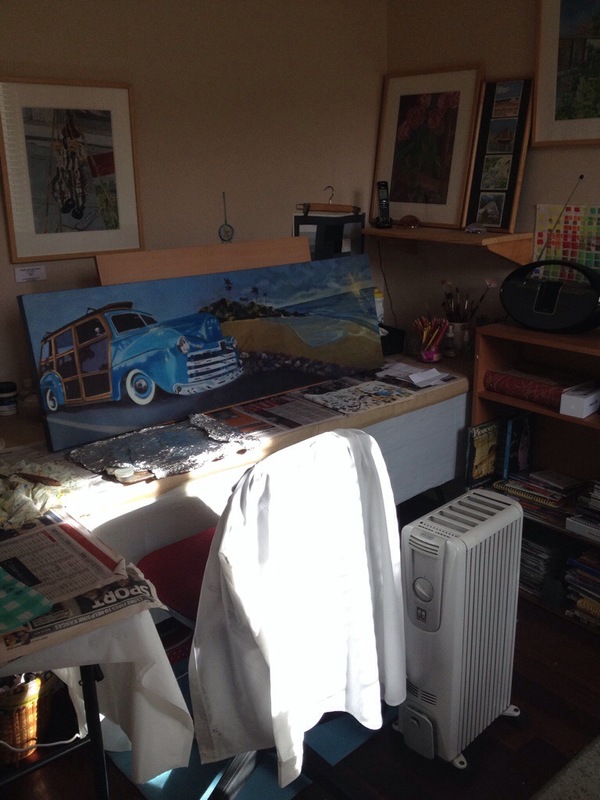 I have gotten into painting the old 1950’s Woody car. 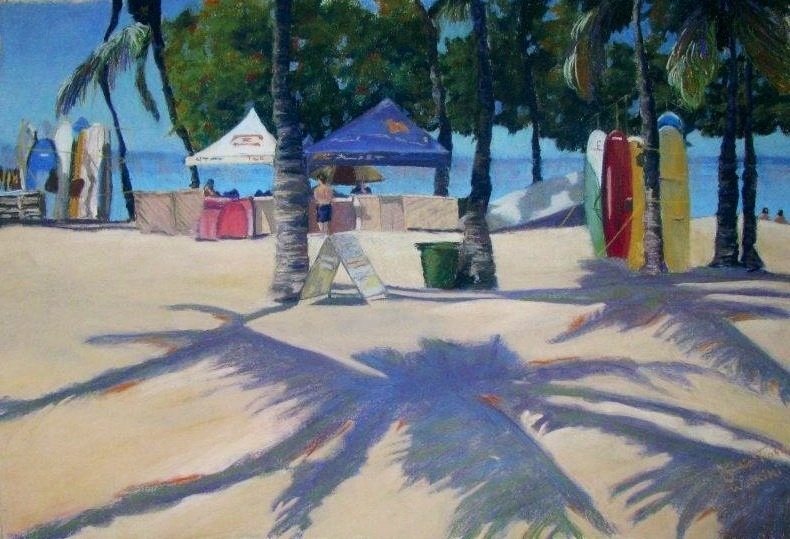 This is my version on a beach in Hawaii and I added some Frangipani of course. To me the beach, the sun and waves and a cool car with some beers in the back are the makings of a fab day. 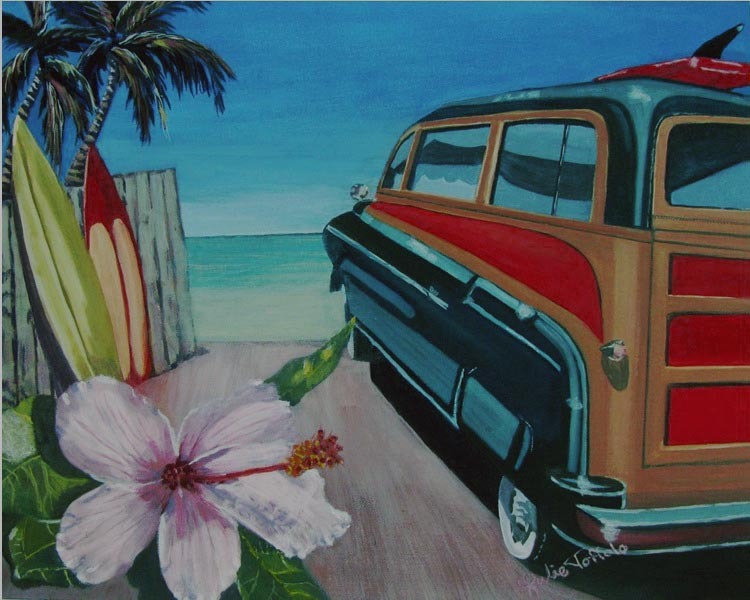 This old 1950’s woody car shares the canvas with some fresh Hibiscus from my garden. 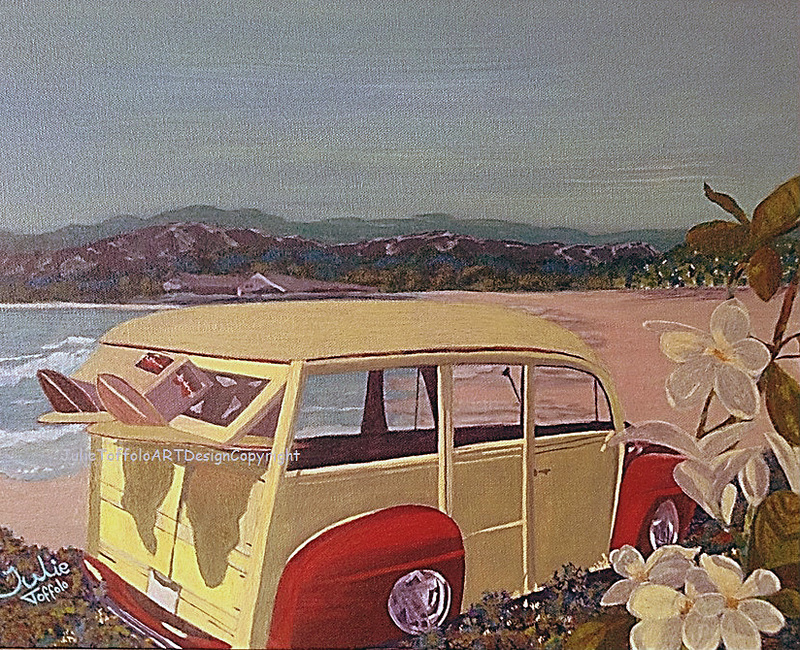 I think the flower goes well with the car and surfboards.